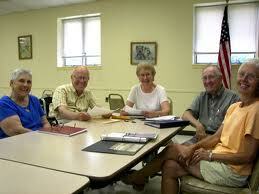 Seniors often move into complexes where a common room or an activity room is available onsite. But not only seniors. I was in a general apartment building the other day and on the ground floor there was a General Purpose room - where people could meet and socialize. Has anyone tried something like this? If so, post your thoughts in the comments section. It seems that such a question should generate some interest and perhaps open up opportunities for a Biblical dialogue.